Recorded shortly after the full-time whistle in ‘Well’s 2-0 win over Queen of the South, Ben Banks and Joe McKelvie join Sparra to discuss Motherwell’s opening three matches in the Betfred League Cup group stages, look ahead to the final group fixture against Clyde, consider the appointment of Peter Hartley as new club captain, debate the signing of Connor Sammon and much more. 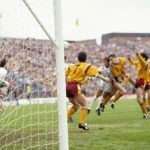 Phil O’Donnell was born in Bellshill on March 25th 1972 and after coming through the ranks at Motherwell, made his debut against St. Mirren on 24th November 1990, aged 18. 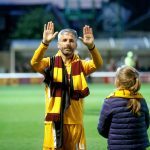 Sparra, Busta and Joe McKelvie are joined by Motherwell assistant manager Keith Lasley to look back on Motherwell’s final two Betfred League Cup fixtures and react to the draw for the last 16. Also on the agenda was a preview to the start of the new Scottish Premiership, Keith’s reaction to Carl McHugh replacing him as club captain, Louis Moult’s future at the club, the Fir Park Open Day, The Well Society welcoming Syrian guests to Fir Park and much, much more. Jay, Busta and Joe McKelvie look back on Saturday’s defeat at Firhill, as well as discussing Robinson’s first few weeks as gaffer and the issue of young footballers on social media. Also on the agenda is the crucial home match with Inverness this weekend. 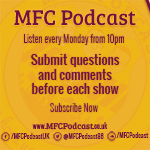 In the first podcast of 2017, Sparra was joined by Busta, Jay and Joe McKelvie for a round-up the festive fixtures, discuss the January transfer window, look back on 2016, give our hopes for MFC in the new year and much more. Sparra, Busta and Joe McKelvie look back on the 2-0 defeat at Celtic Park, discuss Mark McGhee’s battle to win over the fans at Fir Park, preview the midweek meeting with Inverness and much more. With Sparra failing a last minute fitness test, it was up to Jay, Busta & Joe McKelvie to navigate through an unplanned chat about the draw at Thistle, the Scotland U21s, Friday’s Hearts game, and whatever else sprang to mind! 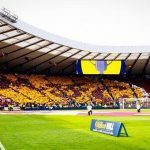 Joe McKelvie joins Busta, Jay and Sparra to look back on the derby victory over Hamilton, preview the weekend’s match with Partick Thistle, give their take on the club appointing a fan engagement officer and much more. Joe McKelvie is back again, joining Sparra and Jay to discuss the St Johnstone defeat, Craig Samson, Joe Chalmers, Scott McDonald, Dom Thomas, the upcoming trip to Ibrox, the U20s cup tie at home to Airdrie, and much more. Busta even makes a brief cameo from poolside in Vegas!